Definition: Fibromyalgia (FM) is a long-term or chronic disorder, which is characterized by chronic widespread pain and a heightened pain response to pressure. Researchers believe that fibromyalgia amplifies painful sensations by affecting the way your brain processes pain signals. Other disorders. 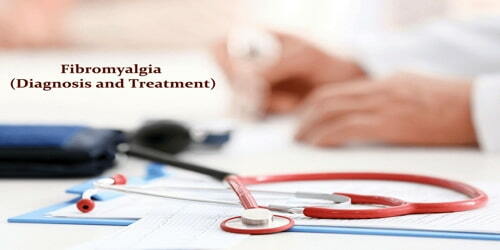 If people have osteoarthritis, rheumatoid arthritis or lupus, they may be more likely to develop fibromyalgia. There is no specific diagnostic test. Diagnosis involves first ruling out other potential causes and verifying that a set number of symptoms are present. 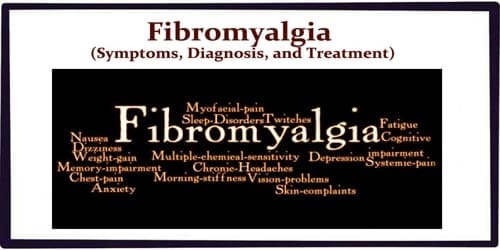 The treatment of fibromyalgia can be difficult. Recommendations often include getting enough sleep, exercising regularly and eating a healthy diet. Cognitive behavioral therapy (CBT) may also be helpful. The medications duloxetine, milnacipran or pregabalin may be used. 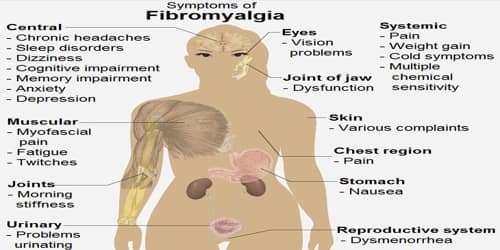 Signs and Symptoms of Fibromyalgia: Fibromyalgia is often associated with areas of tenderness, which are called trigger points or tender points. The pain caused by these trigger points can also be described as a consistent dull ache affecting many areas of people’s body. If they were to experience this pain for at least three months, doctors may consider this a symptom of fibromyalgia. Symptoms can appear at any time during a person’s life, but they are most commonly reported around the age of 45 years. Although fibromyalgia is classified based on the presence of chronic widespread pain, pain may also be localized in areas such as the shoulders, neck, low back, hips, or other areas. Many sufferers also experience varying degrees of myofascial pain and have high rates of comorbid temporomandibular joint dysfunction. 20–30% of people with rheumatoid arthritis and systemic lupus erythematosus may also have fibromyalgia. Diagnosis and Treatment of Fibromyalgia: There is no single test that can fully diagnose fibromyalgia and there is debate over what should be considered essential diagnostic criteria and whether an objective diagnosis is possible. In most cases, people with fibromyalgia symptoms may also have laboratory test results that appear normal and many of their symptoms may mimic those of other rheumatic conditions such as arthritis or osteoporosis. Although in it neither degenerative nor fatal, the chronic pain of fibromyalgia is pervasive and persistent. Most people with fibromyalgia report that their symptoms do not improve over time. Fibromyalgia is estimated to affect 2–8% of the population. Fibromyalgia may not be diagnosed in up to 75% of affected people.